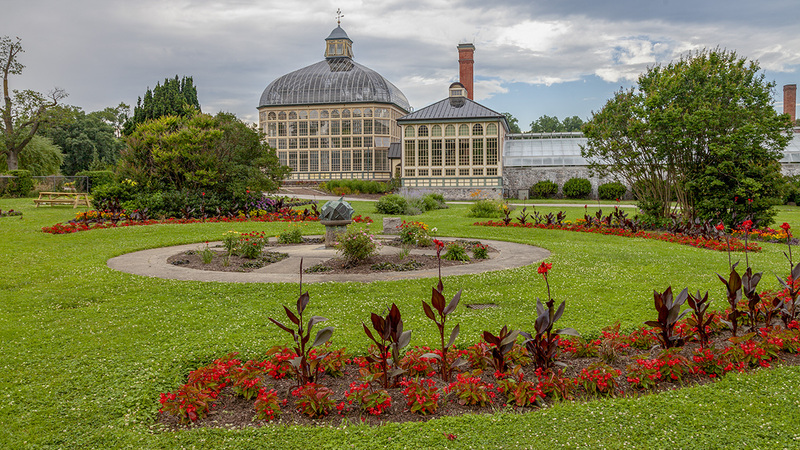 Although Baltimore park commissioners selected land within Druid Hill Park to establish a botanical conservatory in 1875, the Druid Hill Conservatory, as it was originally known, did not open to the public until 1888. Park architect George A. Frederick designed the building, modeling his structure after the Kew Gardens in London, England. It consisted of a large Palm House and a smaller, adjoining Orchid Room. Three contiguous production greenhouses were constructed in the 1920s. 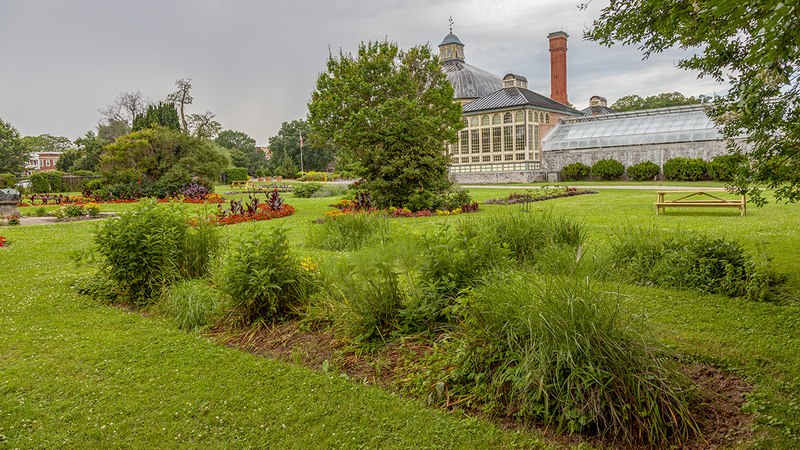 The conservatory and botanic gardens are situated on the western edge of Druid Hill Park. 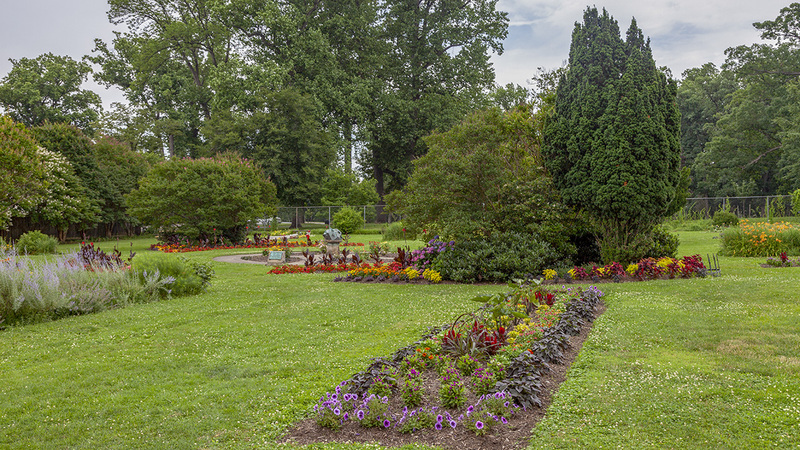 A stone plaza leading to the entrance of the conservancy features a tiled mosaic of Druid Hill Park created by Baltimore artist Joyce J. Scott in 2010. As is typical of Victorian conservatories, structures (in this case the Palm House and the Orchid Room) are built of iron, glass, and wood. 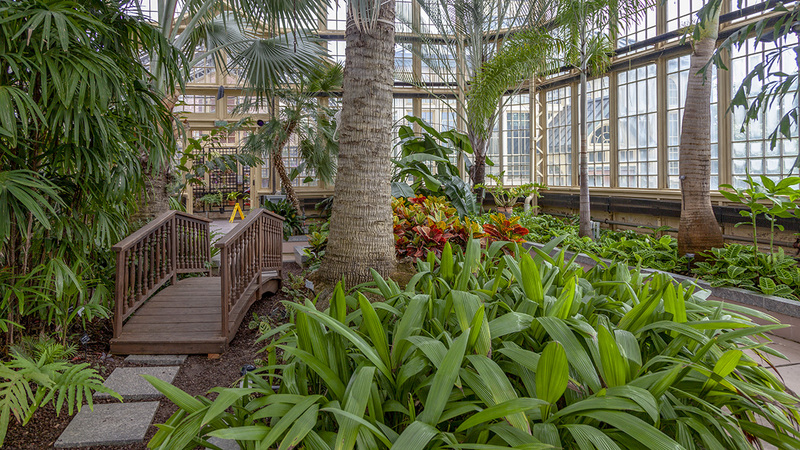 Fifty-foot-high glass windows climb to form the Palm House’s vaulted ceiling capable of accommodating tall, exotic plants. Beyond this, on axis, is the Orchid Room with an abutting brick chimney, flanked to the north and south by two glass-enclosed pavilions. The three production greenhouses form the eastern end of the complex. 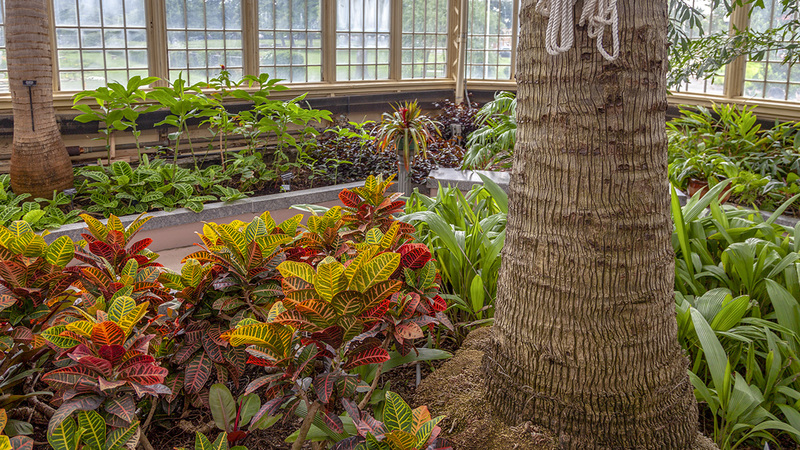 Outdoor gardens are located to the southeast of the conservatory. The 1.5-acre square space is bordered on three sides by hedges and native oak trees. A nineteenth-century sundial sits upon a stone base in the center of the garden, which is surrounded by neatly arranged garden beds laid out in parallel rows. 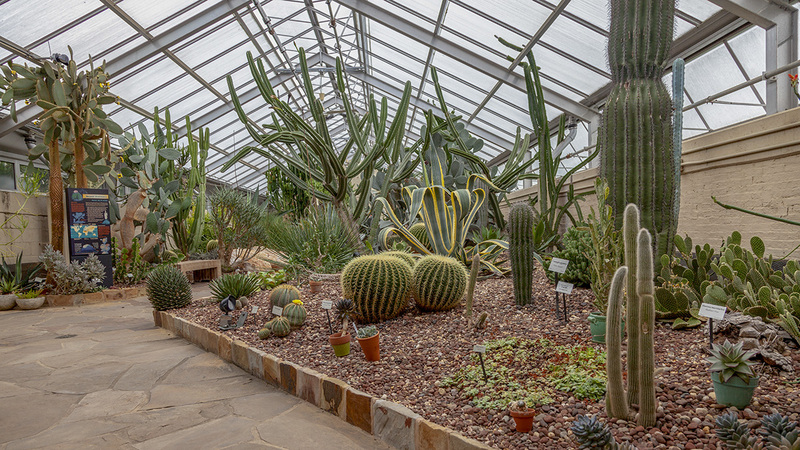 The conservatory closed in 2002 for renovations that included converting the three production greenhouses to display Mediterranean, tropical, and desert plants, respectively. 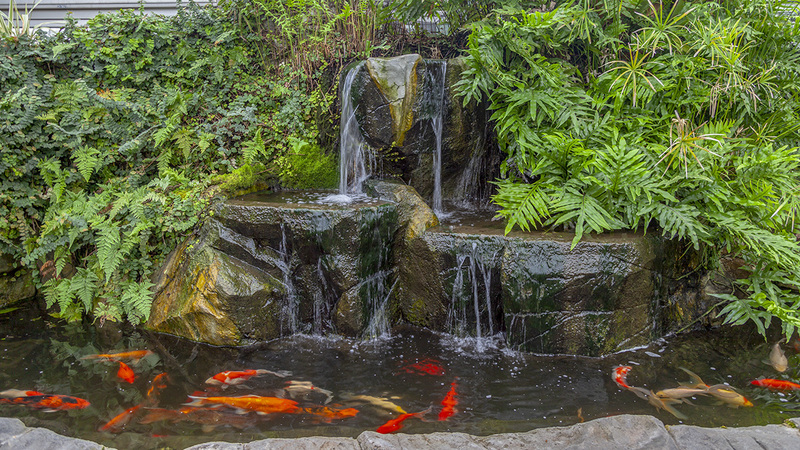 It reopened in 2004 and was promptly renamed The Howard Peters Rawlings Conservatory and Botanic Gardens. 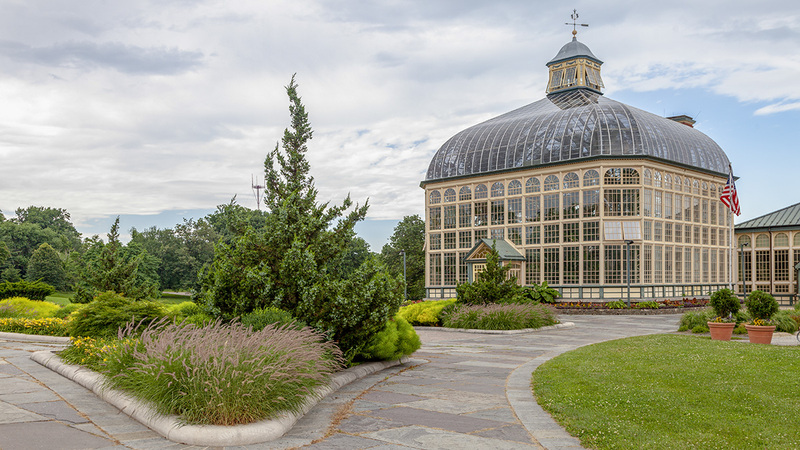 It is the second oldest steel-and-glass-framed building still in use in the United States and is a contributing feature of the Druids Hill Park Historic District, listed in the National Register of Historic Places in 1973.